Our Early Bird Discount (EBD) is our largest discount of the training season! Register for your favorite Goalies, Inc. destination(s) by March 30th, 2019 and save 30.00 on each of your favorite events! Goalies, Inc. is widely known as the best value in professional goaltender instruction and we are always finding new ways to give each of our Goalies, Inc. families more value each training season! This is a spectacular savings on one of the top training programs in the country! Pairing our EBD with the amazing savings that each Goalies, Inc. families receive from our sponsors, such as Monkey Sports, and the value your family receives from our professional training experience is unmatched in the industry. Visit our Performance Camp page to register now! Our events are nearing capacity with many destinations already SOLD OUT! 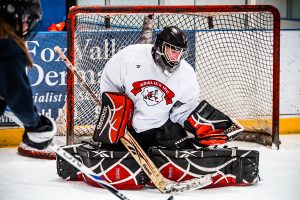 Goalies, Inc. partners with Monkey Sports! It has been a goal of ours, since our conception (2008), to provide an unmatched training experience for our students, while offering it at the best family friendly pricing in the industry. As more families have joined our training community, We have partnered with several like-minded companies to support our mission. In 2019, 11 years after our initial event, we have taken another big step in ensuring that all of our students are well equipment for the 19-20′ season! We arehappy to announce that Goalies, Inc. has re-partnered with Goaliemonkey.com to provide amazing deals, demos and discounts for all 2019 Goalies, Inc. students! With this incredible partnership all of our 2019 camp locations will feature knowledgeable reps / staff for sizing, hands-on equipment to demo, and exclusive VIP discounts for Goalies, Inc. families! 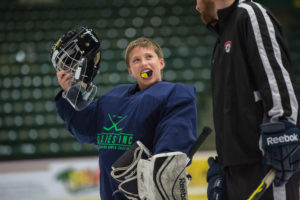 By attending any performance camp in 2019 you’ll receive a Goalies, Inc. VIP coupon code that can be used at Goaliemonkey.com! In addition, Goalieparts.com and GoalieMonkey.com will be offering a year round 10% discount that can be used on their websites! Also, Keep up to date on all of the latest events with Goalies, Inc. by giving us a “like” on Facebook! Coach Stanaway featured on WI 57! 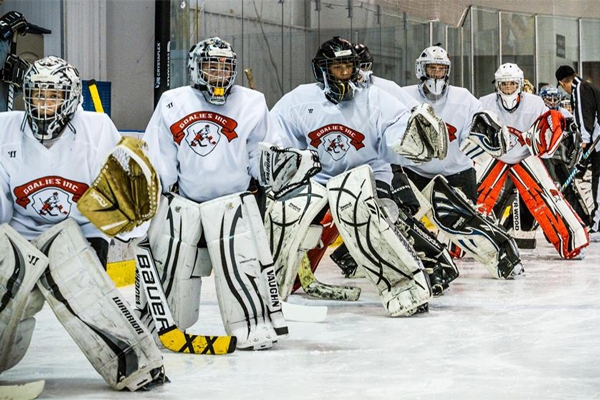 Coach Stanaway discusses the start of Goalies Inc. , 2017 camps, and a little personal perspective from Goalies Inc’s head instructor. Check out Coach Stanaway featured on ABC 10 in Marquette Michigan! A sequal to “JT Takes On”, Sports guy, Sam tries his luck at Goalie! Congratulations to Goalies Inc. Student, Libbey! Libbey will be competing for Team USA in 2017! MUGICA makes jump to NCAA! Congratulations to Goalies Inc. student, Kyle Mugica! Kyle trained with coach Stanaway during the 2015-2016 season and coach Stanaway helped Kyle get the opportunity to make an NCAA Commitment! Kyle will be playing for Gustavus Adolphus in Minnesota! Congrats Kyle! Coach Jim Stanaway named Head Coach! Congrats to Goalies Inc. head instructor, Jim Stanaway, on being named the head coach of the Marquette Roayles (Junior A, USPHL) for the 2015-2016 season! The Royales will soon have a Stanaway leading their locker room once again. Jim Stanaway is on track to take over as head coach of Marquette as soon as contract negotiations are completed. He will be the team’s third head coach in as many years. Stanaway has been with the Royales’ coaching staff since the beginning, starting as the goaltenders coach in 2013-14 then promoted to assistant coach last year. With American Hockey Academy and Goalies, Inc., Stanaway has worked as a goaltender coach for the past few years. He is also the little brother of Mike Stanaway, the original coach of Marquette Royales. Now with the New York Aviators, Mike took his third different team to Tier 3 National Championship Tournament in four years. While the sibling rivalry is in play, the current Marquette coach is focused on the Royales’ immediate success. “I’m excited to bring the winning attitude back and who knows, maybe we will see one of Mike’s teams in a championship game somewhere,” Jim said. Before he played with the Finlandia University Lions and the Fox City Ice Dogs (Appleton, Wisc.) in the Great Lakes Hockey League, Stanaway played at Marquette Senior High School. He’s hoping that hometown edge will bring the excitement back to Royales games. Scheuren makes jump to NAHL! Congrats to Goalies Inc. student Cam Scheuren as he joins the NAHL’s Janesville Jets! Goalies Inc. in the News! Goalies Inc. featured in the lead off sports story in Marquette Michigan’s NBC TV 6. Coach Jim Stanaway is featured on ABC 10’s (Upper Peninsula of Michigan) sports segment JT Takes On : Becoming a goalie.